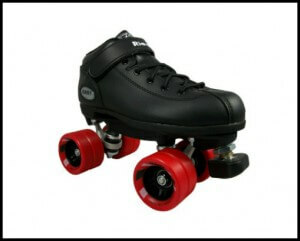 The Dart speed skate is a great skate for kids and adults. It’s rare to see something this great looking and so versatile for only $100. The pink and orange boots are neon and look great under our black lights.